The First Republican Presidential Debate In 100 Words (And A Video) : The Two-Way The debate was full of tough questions and tense exchanges. The most memorable one was unexpectedly about the Patriot Act. Republican presidential candidates, left to right, Wisconsin Gov. 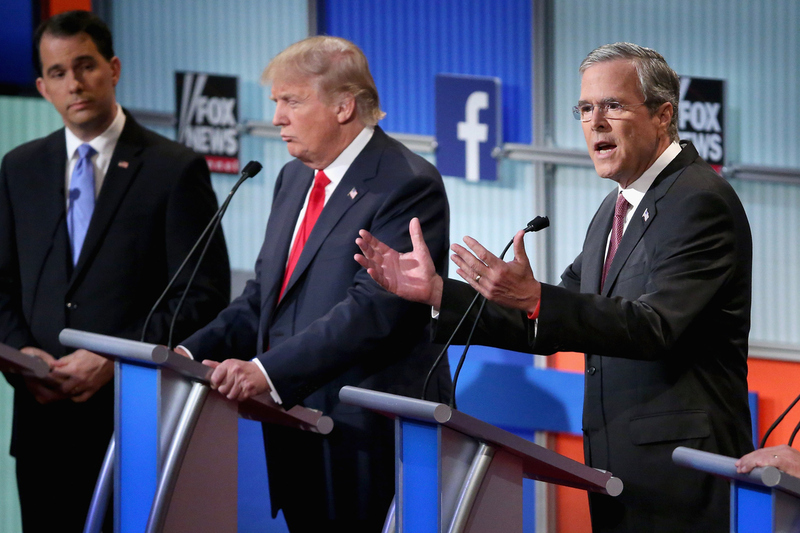 Scott Walker, Donald Trump and Jeb Bush participate in the first prime-time presidential debate hosted by FOX News and Facebook at the Quicken Loans Arena in Cleveland, Ohio, on Thursday.